“The Wolf of Wall Street” is directed by Martin Scorsese and stars Leonardo DiCaprio, Jonah Hill, Matthew McConaughey, and Margot Robbie. Scorsese’s latest picture and fifth collaboration with Leonardo Dicaprio is “The Wolf of Wall Street.” It is a film about excess, excessive excess really, and addiction at its core. The script is penned by Boardwalk Empire writer Terrence Winter (a Scorsese produced show). The story itself is based off the memoirs of convicted Wall Street shark Jordan Belfort. Belfort made a fortune and name for himself in the late 80’s and all of the 90’s. He was a middle class citizen with high ambition and a hunger for money. So in his early 20’s, he headed for Wall Street. Eventually, he founded his own crooked firm that excelled in boiler room tactics, and pump and dump schemes with the use of penny stocks. The result: endless amounts of money and adventure. This is where our movie opens up. In usual Scorsese fashion, Belfort narrates most of the story to us, in the same way Scorsese characters did in the classics “Goodfellas” and “Casino.” We’re told his outlandish habits from the get go, and then taken back to how it all began. When Belfort first got to Wall Street, he was hired by a big time firm. It was here where he would try to make it the old fashioned way, and meets Mark Hanna. Hanna is played by Matthew McConaughey, and is the senior broker of the firm. McConaughey plays the perfect sleazebag, and it is a shame he is only part of the beginning of this movie. He hits a grand slam with his performance. He takes Belfort out to lunch and schools him on the game of Wall Street. The two keys? Masturbation and cocaine of course. They keep your mind at ease and sharp as can be, so you can hit those phones with confidence and energy. As McConaughey says, the only thing that matters is getting their money into your pocket. He then ends the encounter with an alpha male like chest pound and grunt. This of course sets the tone for Belfort’s future. We see it later on as a sort of war chant in Belfort’s own firm. Hanna has created the monster, now Belfort will go and create even more. When the stock crash of 87 happens, Belfort is left searching for work. He ends up finding it at a low end, shady firm. This firm specializes in pink paged penny stocks. When Belfort realizes how good he is at selling these phony opportunities, he sets out to start his own empire, Stratton Oakmont. He meets Donnie Azoff at a diner, who is obsessed with the fact that Belfort drives a fancy car but yet lives in the same building as he. When he finds out just how successful Belfort is, he immediately quits his job and joins forces. The two quickly bond, and solidify their relationship by smoking crack (as if they need more drugs than the ones they already abuse). Belfort then buys out an abandoned auto shop and recruits his old neighborhood friends to become his brokers. They all have nicknames reminiscent of thugs from Scorsese’s old projects. He guides and teaches them all the tactics until they master them on their own. As the firm grows, and they eventually relocate to an even bigger location, the real debauchery begins. Countless drugs, endless prostitutes and orgies, and unlimited money litter the screen. With Belfort’s rise, the spoils grow. He moves into a luxurious beachside mansion where he throws a lavish party. Here he meets a blonde bombshell named Naomi. Of course, he is already married. His first wife, Teresa, is a kind, good hearted woman. We see early on she admired her husband’s drive to get rich, but not exactly his practices that eventually get him there. It doesn’t matter, because he leaves her once he is caught in the act with Naomi. They then get hitched at a wild ceremony. There’s a scene on a jet of the bachelor party, a bacchanalia that is so out of control it makes you wonder how this movie avoided an NC-17 rating. The thing about all this madness is you can’t take your eyes off it. You find yourself enjoying all these insane acts. This movie highlights and glorifies the dark side of the American Dream on a grand scale. As the partying continues, Belfort eventually learns he is being watched. A federal agent named Patrick Denham wants a copy of his wedding list. He’s been tracking this entire unit. Belfort, with a combination of paranoia from the drugs, and arrogance because of his wealth, decides it is a good idea to meet with this man. On a yacht, the agents sit down with Belfort. He manages to set himself up ripe for the taking by rambling as if he’s invincible and can buy anybody. It leads to a sour ending, and you know it isn’t the last we’ll see of these men. When the pressure begins to build, Belfort then decides he needs to hide all his money. He launders it in Switzerland through a contact of one of his cronies. Things start to crumble at his home, as he constantly argues with his wife and neglects his children. In one hilarious sequence, Belfort and Azoff decide to take fifteen year old pills. Because they are so old, the pills take longer to kick in, but these two don’t think of that. They decide instead to pop more. It leads to Belfort essentially becoming paralyzed, struggling to make his way on the ground like an infant. A confrontation then occurs between him and Azoff back at his estate, ending with Azoff nearly dying. As the heat continues to build, but the antics don’t slow down, the end is near. After an equity deal via Steve Madden the shoe guru goes awry, Belfort is forced into a corner. He can take a deal with the securities commission that will allow him to settle in the shadows, but he has to step down from his kingdom, Stratton Oakmont. Initially he is prepared to do so, but his dumb pride gets the best of him. He stays on board; the feds continue their hunt of him. When he is finally apprehended, he is forced to cooperate in exchange for leniency. He tries to warn Azoff slyly, but this backfires, and in a last ditch effort, he gives up everyone. In the end, Belfort loses his family, after a shocking display of physical abuse of his wife and disdain for his child. He goes to prison for a few years, and emerges to become a motivational speaker. Again, the core of this film is addiction. Belfort and company are so caught up in this lifestyle that they can’t distinguish it from reality. They know nothing else. One of the downfalls of this movie is that it’s too long. At three hours, it’s reasonable to believe this story could have been told in less than that. There are certain scenes that seem forced or dragged out, such as one between Jonah Hill and Brad, (The Walking Dead’s Shane) in a parking lot. It isn’t a complex story, or a deep one, so three hours just seems excessive. But, that is the theme of the entire movie. It is a fun ride nonetheless, even though it lasts too long. 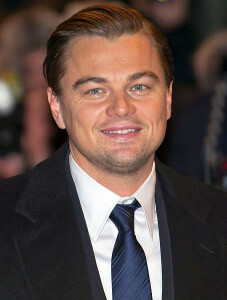 What makes the time bearable, and the movie enjoyable, is DiCaprio’s full blown commitment to the Belfort character. You’ve never seen him in this light. He becomes so dedicated to this character that the believability is astounding. He really is, as he refers to himself in the movie, the ultimate degenerate. It is another testament to the genius and mastery of DiCaprio and his craft. The physicality of it all is probably the most impressive part. Though, the scenes where he rallies his troops in the office are strong as well. It is amazing how he has never won an Oscar. Jonah Hill pulls off his part decent enough. He scores laughs. But I don’t know if it is time to christen him this incredible “serious,” dramatic actor as some have. He still comes off as the goof and loaf of “Superbad” or “21 Jump Street.” And I for one wasn’t too caught up in his “Moneyball” performance that got him an Oscar nod. I believe the real gold lies in the rest of the gang: “Pinhead,” (Brian Sacca) “Sea Otter,” (Henry Zebrowski) “Rugrat”, (PJ Byrne) “The Depraved Chinaman, (Kenneth Choi) and Brad (Shane Bernthal). These guys all nail their parts and provide great comic relief and meshing with each other. One of the best scenes is when they are all being interrogated at the bureau headquarters, and none of them budge under questioning. Kenneth Choi’s Chinaman is hysterical in his utter disregard for law enforcement. Scorsese’s print is all over, obviously. These guys share so much in common with the gangsters of Scorsese’s past films, and even their real life thug counterparts. Really, these Wall Street hotshots were not so different than the underworld guys. Just because you’re a white collar crook, you’re still a crook. They were all stealing and manipulating in one way or another, living too close to the edge in some regard. Hell, some can think these tycoons are worse than gangsters. Ironically, when the mob was finally relieved of their iron fist control of Las Vegas, who was it that marched in and took over? Wall Street guys, via junk bonds (Brief history lesson, also mentioned in the final scene of Casino). All in all, this is a shameless effort by all involved. The only thing keeping it from a perfect rating is the length and certain scenes that just slow the movie’s progression. They aren’t afraid to tackle this material and fully engulf in it. People like these characters exist all over. They enjoy this crazy lifestyle, no matter what the cost or who it affects. They enjoy talking about it, demonstrated perfectly by DiCaprio’s narration, where you can hear the thrill in his voice the entire time. I’m pretty sure the real Jordan Belfort doesn’t regret what he did; just that he got caught and can no longer do it. And we enjoy watching it. One of the things about human nature is the excitement brought about by listening to these people or being around them. Even if we do or don’t approve of whatever they do, even if we’ll never experience it ourselves, we love watching it or thinking about it. We feed them as they feed us. Albeit on different levels and choices, there’s a wild side in all of us. And this lifestyle itself and dreams of it will never cease. This is America, whether you accept that or not.